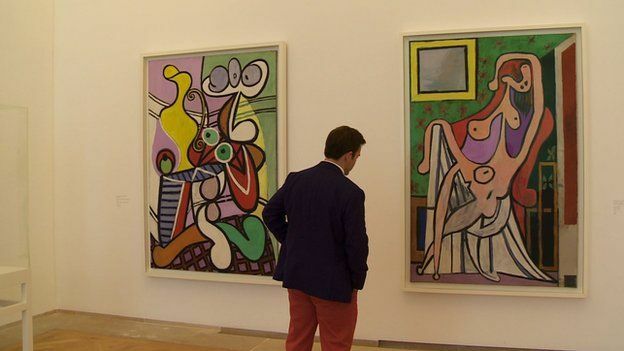 This is the last of the artist’s museums we visited in our four days in Paris. Michael, an artist friend, told us we should go to this” small” museum and enjoy the excellent collection. When we approached this not so small building we sighed with the anticipation of tired feet and legs ! 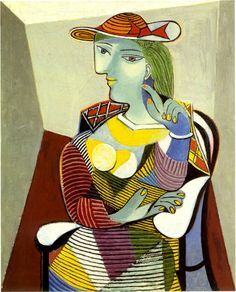 Picasso like Dali was born in Spain but immigrated to Paris where so many artists of this period lived and worked. He was one of the greatest, influential and prolific artists of the 20 century. The talent of both men were quite evident when they were very young. Their styles are quite different. Dali was a surrealist and Picasso was a co-inventor with Georges Braque of cubism. “If you become a soldier, you’ll be a general. If you become a monk, you’ll end up as the pope.” a quote from Picasso’s mother to her son. Picasso later responded to his mother’s words. 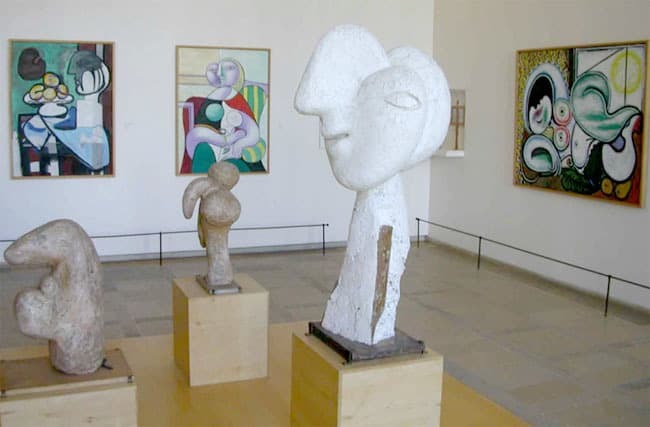 My favorite work by Picasso is not in Paris but in a prominent location in the Museum of Madrid. The title is Guerica. It has been given the distinction of being called Modern Art’s most powerful anit-war statement. In-fact I used this in a post from India. At the end of our Picasso Museum visit, we did walk away with tired aching feet and legs but feeling quite proud that we made it through this “small” museum. David’s comment was pinpointed and humorous as usual. . . . This entry was posted in art, artists, Designers /Designs, France, Paris, Travel, Uncategorized and tagged Amritsar, art, Cubism, garden, Guernica, India, Museum in Paris, Pablo Picasso. Bookmark the permalink. My favorite Dali and Picasso paintings are on a guitar owned by Manitas de Plata, a Spanish gypsy flamico guitarist, a national treasure of Spain . Manitas actually gave me his guitar to hold. On the front was a painting Dali did for the guitar, on the back was a painting Picasso had painted for Manitas. Such beautiful gems! I could not estimate even the monetary value of that guitar I held in my hands. I have so many favorites by those two, but I never got to see them in person, let alone hold in my hand. that is an amazing story. How cool it was used and touched and held. . . . . even by you. Thanks Don for sharing! Wow!